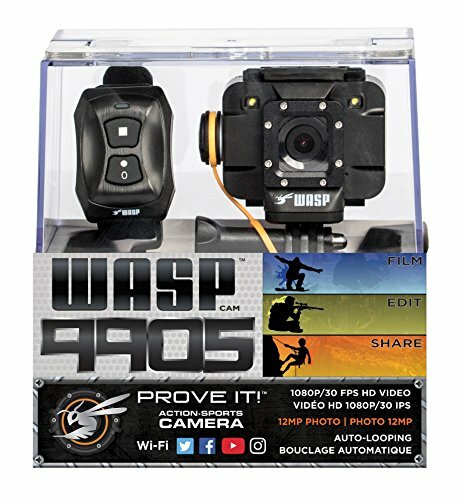 Records High-Definition video at 1080p30, 720p60fps, WVGA 60fps and VGA 120fps. 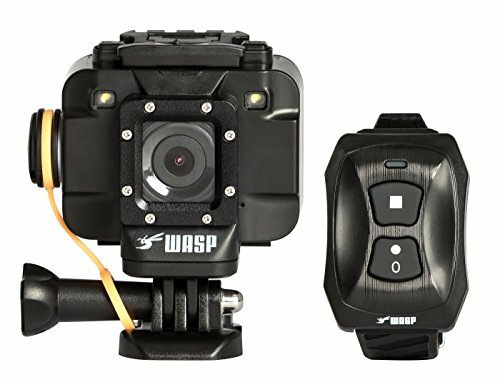 Also includes Wireless Wrist Remote that connects to the camera up to 15 feet away. Wi-Fi built in. Connect camera to smartphone for live viewing, remote control and instant sharing online. 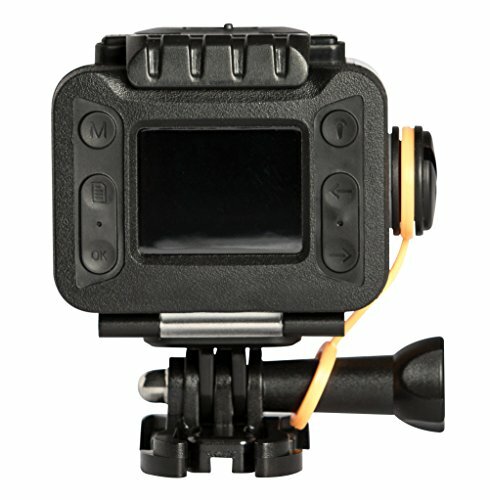 Comes with two LED safety lights, and users can set the lights to off, on (steady). 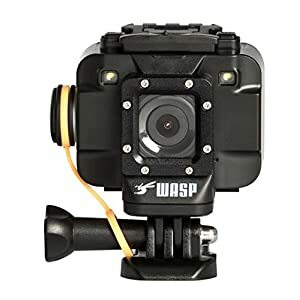 This is a great and durable camera. The price is terrific and well worth it. This item was purchased for my 11 year old son to use while bike riding, using his hover board, and riding on an ATV. He loves it! 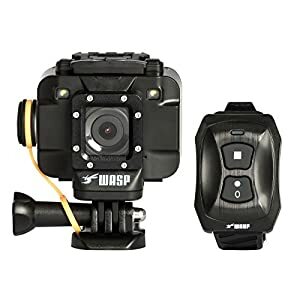 After purchasing the WASP 9905 for $49.95 on Amazon, I checked EBAY and found the same camera for anywhere from $50.00 to $300, all for the same exact package. So, I expect to buy another one soon. My biggest disappointment was the lack of editing software. 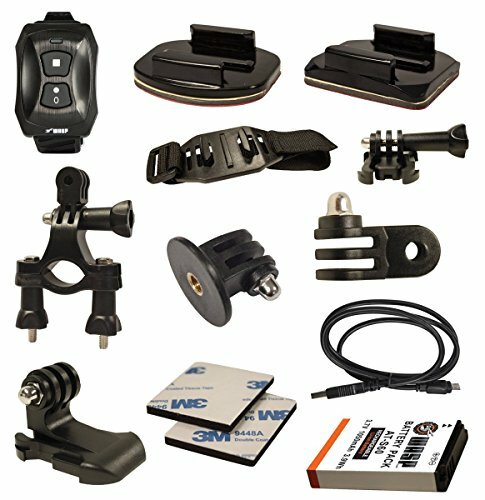 I take long videos during Motorcycle rides, but would like to edit them, and add music, notations, or voice comments after. 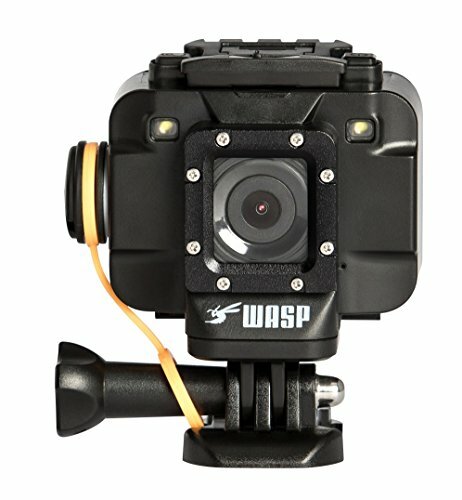 If there is something available, I would appreciate some input from others who are enjoying the great video and photo quality. Doesn’t come with a memory card, which is fine in itself, but, the card that it says it takes, WILL NOT WORK. So, after wasting money on the initial purchase of the camera, another $30.00 gone on a memory card that doesn’t work. I can’t say anything about the quality, functionality, etc. of this particular camera because I can’t get that far.